One of the most exciting and edgy literary voices of our time, Junot Díaz won the Pulitzer Prize for his startling debut novel, The Brief Wondrous Life of Oscar Wao. With This Is How You Lose Her, his latest work, the MacArthur 'Genius' Grant recipient addresses the Dominican American immigrant experience, the pain of loss, and the haunting power of love. He currently teaches writing at MIT. 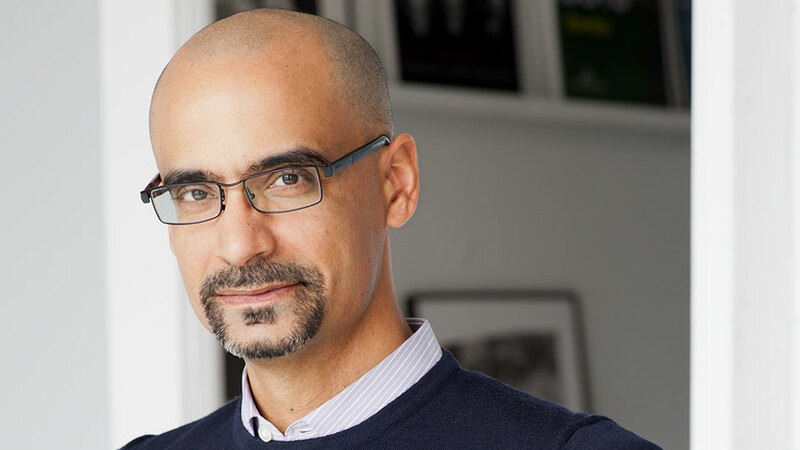 Junot Díaz holds the 2008 Pulitzer Prize for Fiction, a success he adds to an already long list of accolades that have been awarded to his novel The Brief Wondrous Life of Oscar Wao. A true literary triumph, this heartbreaking, at times hilarious, always dazzling story of the endless human capacity to persevere in the name of love confirms Díaz as one of the best and most exciting literary voices of our time. Following The Brief Wondrous Life of Oscar Wao, Díaz released another short story collection titled This Is How You Lose Her, which has received an incredible amount of praise and recognition from critics all over the world. In the collection, Díaz uses his talent to write about the haunting and impossible power of love. His debut short story collection, Drown, was also a publishing sensation and is now a landmark of contemporary literature. His short stories have appeared in The New Yorker, The Paris Review, and The Best American Short Stories. Most recently Díaz published Islandborn, a children’s book that tells the story of a Dominican child in the United States to bring his longstanding questions of identity, belonging, and home to a new audience. Díaz is the recipient of a MacArthur ‘Genius’ Fellowship, PEN/Malamud Award, Dayton Literary Peace Prize, Guggenheim Fellowship, PEN/O. Henry Award, and Hispanic Heritage Foundation Award for Literature. He was born and raised in the Dominican Republic, and now lives in New York City and Boston, where he teaches at MIT.